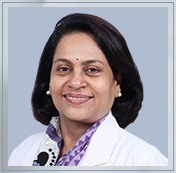 Dr. Rashmi Kapoor is currently associated with Regency Hospital as a Director, Department of Pediatrics in Pediatric Critical Care and Pulmonology. She is the first pediatrician to start Pediatric flexible bronchoscopy in 2007 in the state of Uttar Pradesh. Pediatric Pulmonology, Michigan children hospital, Ann Arbor – USA – 2012. Pediatric flexible bronchoscopy under Dr. Robert E. Wood at Cincinnati children hospital, Cincinnati, Ohio USA – 2009. M.D – Pediatrics – GSVM Medical College Kanpur – 1984. Bronchoscopy – has taken out at least 200 Foreign Ladies & at least 100 of them have been removed by flexible Bronchoscopy. Pediatric Critical Care – PICU at Regency Hospital is accredited for fellowship in Pediatric Critical Care. Started 1st PICU in U.P. in 1995 at Regency Hospital Ltd., Kanpur. First pediatrician to start Pediatric flexible bronchoscopy in 2007 in the state of Uttar Pradesh. Is doing flexible bronchoscopy in a newborn also. Been invited to various National conferences on Pediatric Critical Care, as a faculty member. She is a PALS (Pediatric Advanced Life Support) Instructor since 2001. Conducted various PALS courses all over U.P since 2001. Teacher in Pediatric critical care Council of India. Case Report “Fibrodysplasia Ossificans progressiva” Rashmi Kapoor, PM Gadre et al. Indian Pediatrics. Vol 69, August 1998, 786 – 788.
Review Article, “Vitamin D and Bone Metabolism”. Pediatrics Today, Vol I, No2, Sept- oct 1998, 161 – 166.
Review Article, “Raised Intracranial Pressure”. Pediatrics Today Vol III, No 5, May 2000, 361 – 368.
Review Article, “Diabetic Ketoacidosis” Intensivist, Vol V, No 2-3 April – July 2002, 3 – 7. Clinical Brief, “Neonatal Boerhaave’s Syndrome with Duodenal Atresia”, Indian Journal of Pediatrics, Vol 69, August 2002, 727 – 728.
Review Article, “Acute Stridor “Indian Journal of Practical Pediatrics, Vol. 8 No.1, Jan – March 2006, 27 – 34.
Review Article “Respiratory Failure in PICU”, Pediatrics Today, Vol. X No 6 November – December 2007, 296 – 302. Short Communication, “Prevalence of Congenital Heart Disease, Kanpur, India” Indian pediatrics volume 45, number 4, April 2008, 309 – 311.
Review Article,” Cardiotoxins” Indian Journal of Practical pediatrics. Vol ii, No 1, Jan – March 2009, 53 – 63. Congenital Tuberculosis, A case report. Rashmi Kapoor, et al. Pediatric Allergy, Immunology and Pulmonology. 2011; 24(4): 225). Review article “End of Life Issues” in Pediatric Intensive Care a Specialty Journal of Indian Academy of Pediatrics 2012.